Mary had a little lamb! This adorable little lamb is here to welcome the new baby into the world. Carrying a super soft cuddle blanket, baby will surely appreciate her arrival. 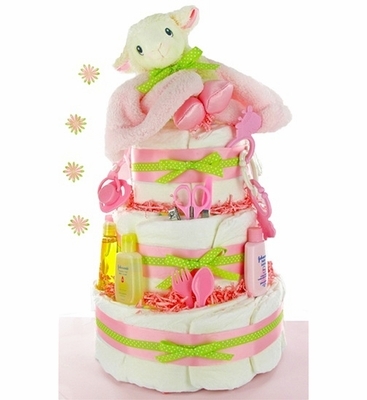 This diaper cake will be the hit of any baby shower.